When I first floated the idea of reviving the magazine I thought it’d be a simple case of refreshing the layout, writing some great content, and adding the articles to Textpattern. Then Destry drew up how it should work, the rest of the team hashed out the ideas, and I then took the reins to turn the conceptual model into a functional reality. After analysing the proposed layout, taxonomy, and editorial chart, it became clear we’d have a lot of Textpattern sections, just like the previous magazine version. While the old site had many page templates to complement its wide section structure, I wanted to reduce this number to five (excluding error pages) for future maintainability. Each page is virtually identical, holding just the skeleton HTML 5 markup to dictate the layout: head, body with container, title, navigation links, main and complementary areas, and a footer. Conditional tags were kept to a minimum, so the hard work was up to Textpattern’s workhorse building block—forms. Form names were picked to suggest their function and each form is documented—both inline and in a separate file—for future reference. The smd_where_used and adi_form_links plugins help navigate the admin side efficiently. Site designers often use Textpattern’s custom fields to collect article-centric metadata, and use the glz_custom_fields plugin to obtain more than the stock number of ten. Everything visitors do on the site revolves around this context, and it’s determined through a few simple gbp_permanent_links rules to prevent /issues/N delivering a 404, a few lines of PHP and a set of variables. Note that the date-based URLs with 2012 in them effectively limit the number of potential issues. It has been arbitrarily set at an upper value of 2001, which is about 500 years’ worth of quarterly publications, and was deemed an acceptable risk. Even if we were to publish one issue per month it gives us 165 years to come up with a different URL scheme, by which time the Internet will have either disintegrated or will be part of your clothing. 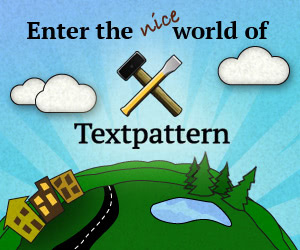 Figure 1: Setting Textpattern context. The code here has newlines and spaces added for readability. The general idea is to set up txp:variables containing lists of values and then set up a second set of variables that contain a zero or one value, based on whether the current section, page, or article matches some condition against each list. These can be tested very easily with if_variable anywhere later in the page to decide whether to include or exclude some content. Because Textpattern is a blogging engine (show the most recent items first) and a CMS (show the given content) hybrid, it can’t natively tie the concept of an issue number together with a publication date and the URL. The great thing about Textpattern is its utter flexibility and the fact that embedding a few lines of PHP to fill any gaps is only a tag away. Is the document status 200 and the Section named “issues”? If so, grab the REQUEST_URI and remove any trailing ? part. Split what remains at the forward slash character. If the next item is numeric and not a year, consider it an issue number. If it’s a year, look at the subsequent parts and inform Textpattern of the supplied date. If the issue has not yet been set, check if the current article contains an issue number in the custom field. If so, set the issue number to the article’s issue. If the issue has not yet been set, ask the database for the highest issue number in a custom field from a Live, already published article in one of the defined column_sections, taking any supplied date into account. Set the issue number to this value. Whenever an issue number is found, the corresponding month and year of the publication is also retrieved so the correct date can be shown alongside it. That’s all there is to it. In this case, as long as the Issue custom field is correctly filled out for each article, the CMS knows exactly what visitors are looking for, how they got there, and what to display. Sadly, that won’t work. Magazine articles need to be in a specific order when appearing in lists; From the Editor is always first, for example. While we could manually change an article’s date or alter the section names (leaving dirty URLs), the extra overhead defeats the point of a content management system. The new macro tag can be used anywhere in the site where a given issue’s articles need to be listed in the correct order. The sort attribute for Textpattern’s article_custom tag assumes a simple list of database column names plus asc or desc to indicate sort direction. Employing MySQL Field ordering and plugging such a list into the sort attribute using the tag-in-tag syntax doesn’t work because Textpattern processes the attribute (for security) before trying to use it, resulting in some ugly single- or double-quote disasters that break the query. While backtick characters are a possibility, it’s far from pretty. With PHP at our disposal the restrictions can be easily lifted when building the <txp:in_issue> macro because the sort order is pre-computed and available from our head-context form. Functionally, the macro iterates over the resulting list of returned articles and processes them via the nominated form or the macro’s container. But there’s a catch: if the URL contains a date, or the month attribute is used, the list of returned articles may span more than one issue. This makes it rather difficult to style the lists because it becomes necessary to know when one issue ends and the next begins. Figure 2: Using the in_issue macro on a landing page. The situation was a little more manual for the table of contents list on the homepage because we wanted to add a custom “teaser” description under each title. Using a custom field to hold the teaser was an option, and we could then have used <txp:in_issue /> again to list the contents. But since the Editor in Chief writes this copy and decides the content order just prior to publication, we didn’t want to burden that person with having to visit each article in turn, edit a custom text field and save, then potentially tinker with the article order elsewhere. To consolidate the functionality into a single place, the task fell to smd_featured. The description field provided by this plugin is perfect for writing about each article, and the order is easily controlled via the position widgets. The articles are grouped by a label called issue_N with N being the issue in which the articles appear. This allows simple, complete, focused and, most importantly, automatically updated display of an issue’s table of contents from a single <txp:smd_featured> tag in the homepage template. To tune up inline image handling, smd_macro was brought in again. 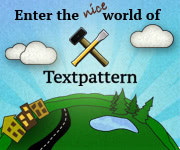 The custom <txp:figcap> tag (attached below) allows us to easily insert images that have been uploaded to Textpattern. The caption for the image can either be read from the image itself, supplied via the tag’s caption attribute, or written in its container. Place caret marker where image is to go. Select image(s) and decide whether they are to go full width, left, right, et cetera. The plugins take care of the rest for us and, in fact, I have plans to simplify this even further before the plugin is made public. The major advantage of a macro is that if we decide to alter the layout, we only need to change the macro once. Any time an article is visited, the new markup is delivered automatically which means we don’t have to open every article in the admin interface, alter its markup and resave. As a last incantation, we automated the rotational display of quotations. They are just regular Textpattern links, pulled into the article randomly using another smd_macro, this one wrapped up as <txp:quotation>. The goal here was zero setup: we wanted the ability to randomly insert quotes without duplication elsewhere in a given page view. The macro yet again utilises the power of <txp:variable>. The first time the tag is used, if the variable called ‘quotations’ has yet to be created, it creates it by forging a linklist and grabbing up to 10 quotes, which is more than enough for display on a page. Each quote is delimited inside the variable with a special character sequence via the break="@#~#@" attribute. Once the variable has been created, the rest of the tag just increments a PHP counter so that each time the tag is called, the next number in the sequence is retrieved. The quotations variable is then split at the special character sequence (using smd_wrap) and the Nth item returned, where N is the sequence number. Turning Textpattern from a lean, mean publishing machine into a lean, mean, issue-based publishing machine is no more complicated than setting up some variables to control what to display later in the page. The gbp_permanent_links rules could be created in .htaccess rewrite rules, while the macros merely serve as a handy way to bring everything together: the functionality could equally be achieved, with slightly less flexibility, through the output_form and yield core tags instead. From Textpattern’s power, the wide range of plugins available, and the simple manner in which functionality can be expanded using PHP, we have everything needed to conjure up almost any site you can envisage. A spellbinding site—whether yours or a client’s— is solely down to combining the elements in creative ways. Figure 3: macros for download.